Bounty is located near Terrorism Monument in Legian street. It is recommended club for who want to dance all night. You will have exciting moment with Australian, Asian, and local people while drinking beer! However, you should keep your staffs safe not to be stolen. I didn’t think that there were so many people in this night club. It might be because it’s high season. The music was very loud. It was fun. 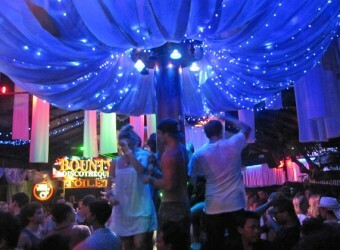 I thought only westerners come to this night club, but there were also many local people!